Hi all. I have a 2012 Civic LX manual that has a small piece of plastic dragging on the ground (picture attached). Just a couple questions about it; I'd really appreciate any input. 1. About a week ago, I had both front fender liners replaced from old damage and my front bumper reattached (got in a fight with a parking bumper). I noticed after that work was done that the car was bottoming out easier than before on speed bumps and whatnot. I didn't look under closely enough to see if anything was amiss then (I did glance, and nothing looked too strange), but I'm wondering if they would've been messing with this part for those repairs and not cleaned it up correctly. It could be a coincidence, but the timing makes me wonder. 2. If I just saw that flap off, would it cause any issues? I'm thinking of it either exposing some part of the undercarriage that needs to be protected, or of it catching the wind in a way that eventually pulls the whole thing off. If it does need to be replaced, what would the part number be? I'm finding things on 74114-TR0-A00, but that seems to be aluminum. Splash Guard: Snowplow. Is this even necessary? That looks like my snowplow. There is an underbody "splash guard" that protects/streamlines underneath the car. Last year I hit an ice chunk and the front edge started dragging and scooping up snow until the whole front was on the ground. I had to take it to a garage where the mechanic put it up on a lift, unscrewed it, and jumped out of the way as it dumped a pile of snow and ice. He put it back in place with self-tapping screws. This winter, same thing: started dragging and a piece broke off. I had the whole thing removed and threw it away: it was wrecked. My question (which I logged in to ask and will just piggy-back on yours): it this thing even necessary? I am willing to forgo the .05mpg I will lose in order not to put up with this now-annual event. I suspect the screw holes are stressed to the point that it won't stay anyhow. The metal skid plate under the front of the engine is still in place: this is the plastic piece to the rear of the engine compartment. I have same issue. Just removed about a driveway's worth of snow and ice from my plastic undercarriage. My aluminum pan under the engine was stripped and torn so I had removed it last year, now I'm filling up with snow which is tearing the plastic. I'm considering removing the plastic undercarriage completely as well. Any repercussions? I was told it was there for mileage. I can't see it having a huge effect as no cars up until this point generally had them anyway. My engine makes an odd sound... The sound of saving money! Another winter is here, and I am having no issues after having removed the offending plastic. 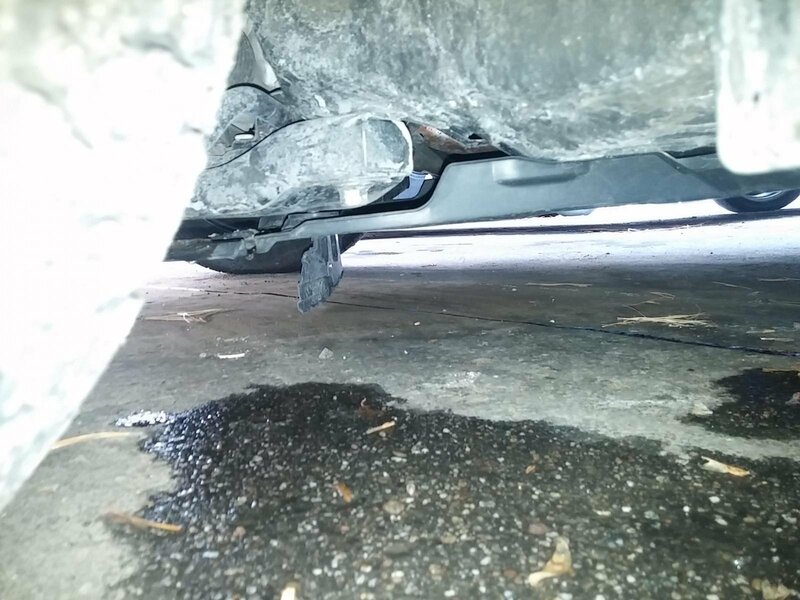 The metal cover over the oilpan/front of the engine compartment is still there; there are other plastic covers under the car; just one piece was removed. That said, I have had no issues. Any streamlining effect is negligible, and would be offset by anything spent to replace the piece, IMO. I personally would just take off the broken piece and leave the rest. I was next to someone with what sounded like a loose heat shield rattle, and that made me wonder if the plastic cover is doing that function as well. Don't park in any tall grass! 2013 Coupe Si Undercarriage and Cover? ?